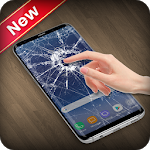 Broken Screen is just a prank app used for fun, it simulates the broken screen effect to play with your friends. It will not harm your phone. 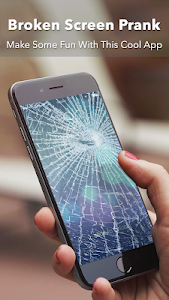 When you touch your phone screen, the app simulates the cracked screen and loud cracking sounds on your phone. 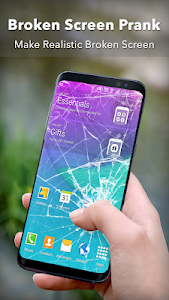 It looks like you use your finger to break and crack your phone. 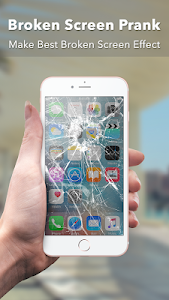 Broken Screen Prank is a classic funny app used to prank your friends. The broken effect is so realistic that all your friends will believe that your phone was broken and they will be scared. 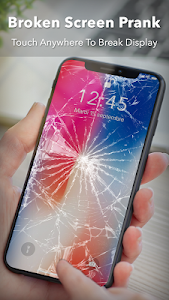 The most realistic looking images of cracked, broken, scratched and completely destroyed screens and displays for free. Similar to "Broken Screen Prank"